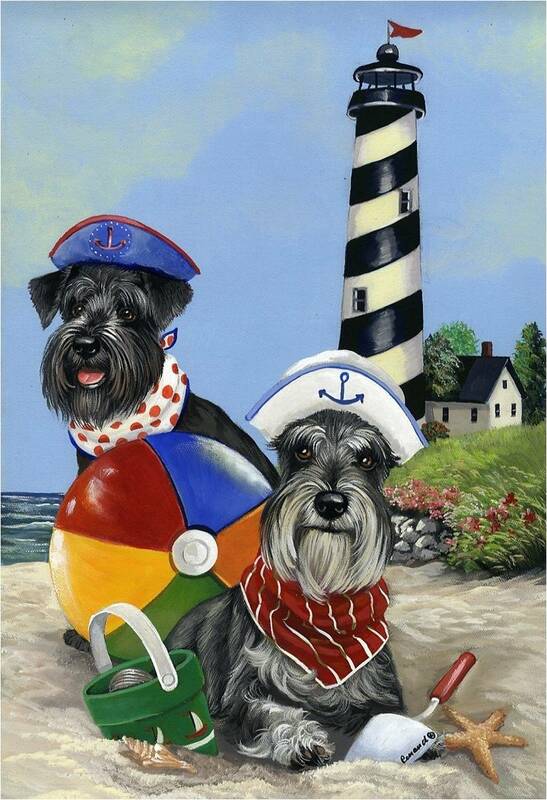 You ♥ Your Mini Schnauzer! 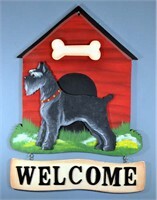 The first go-to place when looking to purchase something for a Schnauzer lover online is Amazon. Click here to see the collection. They have everything from Apparel, Accessories, Books, Calendars, Caps, Jewelry, a lots, lots more! 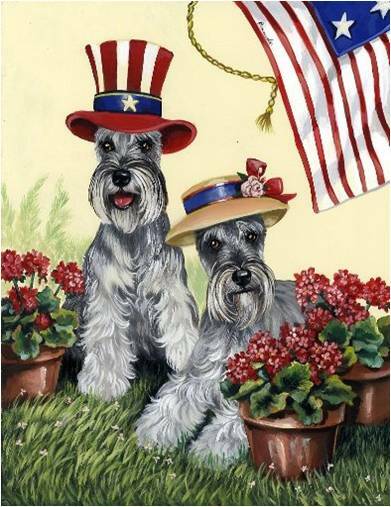 And the Bradford Exchange Schnauzer Lover's Collection on AMAZON is full of irresistible Schnauzer themed specialty items. 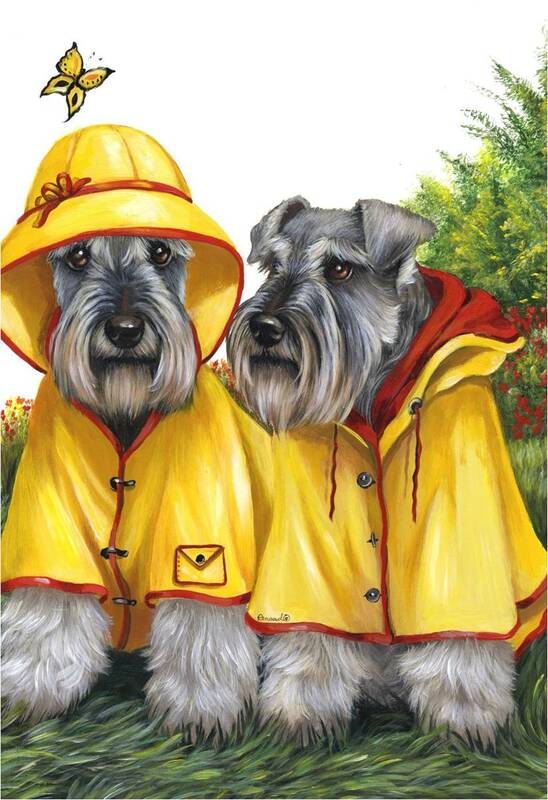 One of our favorites are these weather and fade resistant Schnauzer Garden Flags. 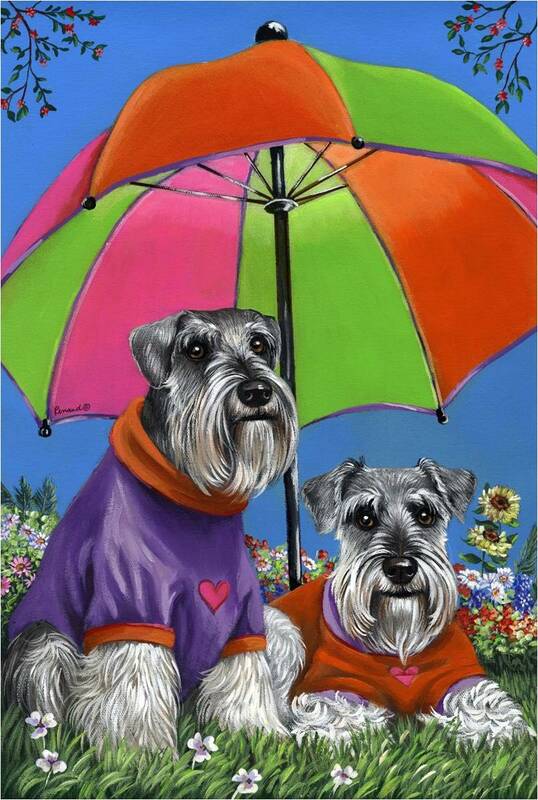 Suzanne Renaud's artwork really captures the adorable expressions of the Mini Schnauzer. 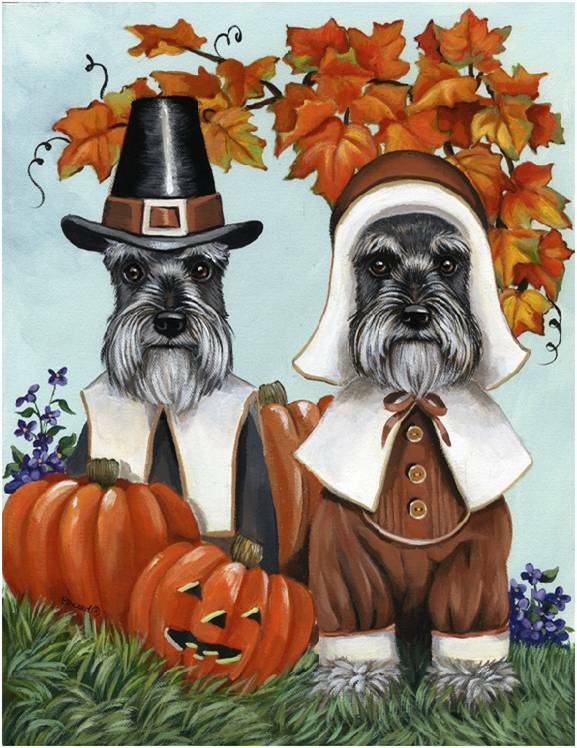 Visit our pet costumes page to find the perfect little outfit for you Schnauzer. And while it's true that most dogs don't like wearing costumes, they will usually keep one on long enough for you to get a cute photo. If ordering before big holiday events like Halloween & Christmas, be sure to do it earlier enough to make sure the item you want is "in-stock". 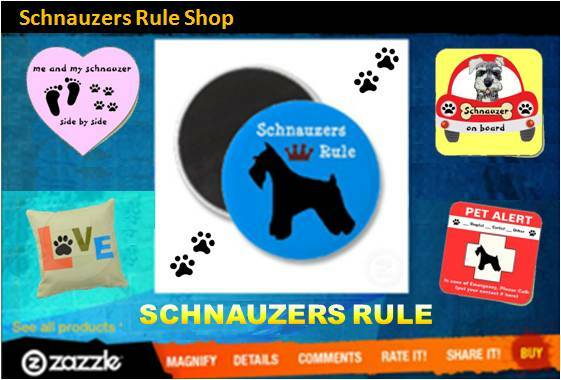 Animal Den offers a HUGE selection of Miniature Schnauzer gifts for the Schnauzer Lover! 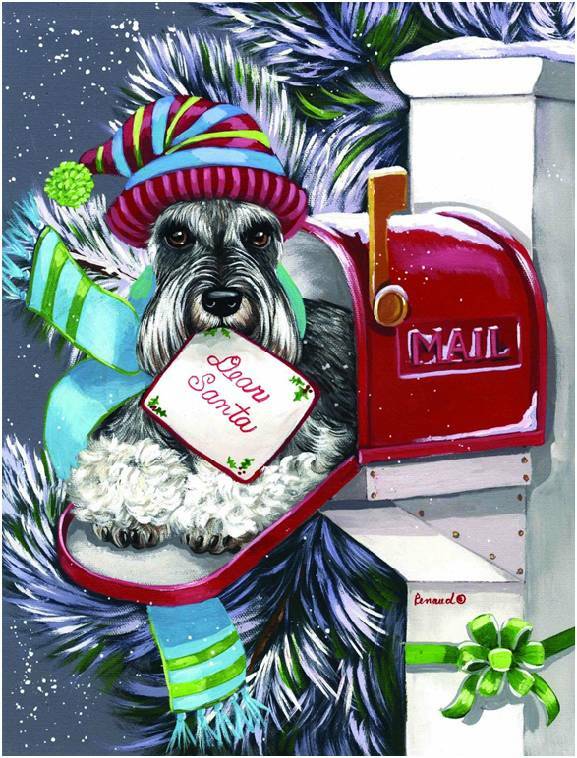 (including shirts, address labels, calendars, jewelry, mouse pads, socks, ornaments, mugs and many other dog gifts). 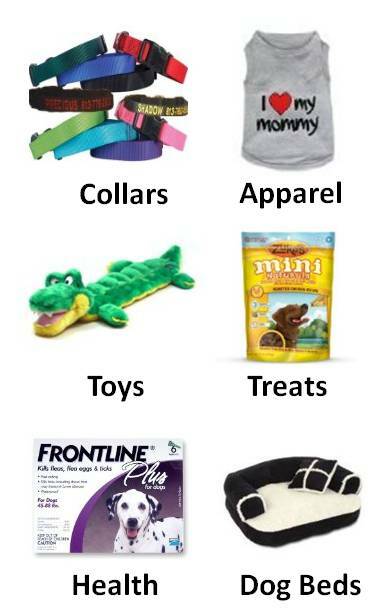 Their unique inventory of animal and pet products is of the highest quality and selection. Whether you are looking for a gift for your pet, a friend, or for yourself their products will simply amaze you. A great gift shop for dog lovers, indeed! Earth conscious dog products: Organic Pet!